It all started with a big bramble hedge creeping over the fence at our old house in East Oxford. We moved into the house in 2005, and in the summer we realised that we had a huge harvest of blackberries sitting on our doorstep. Not wanting to waste free food, I found a recipe for bramble jelly, gave it a go, and found it tasted delicious! And as there were so many blackberries, I didn't just make one batch, I made lots. There is, however, a limit to the amount of bramble jelly that two people can eat, so I decided to sell the jars to friends and family and give the money I made to charity. It was a very successful venture and I was hooked on preserving! I started to make jams and chutneys as Christmas presents for friends, and realised how much people enjoy the taste of home made preserves and appreciate the time, effort and thought that has gone into them. So a plan was hatched and 'jillicious!' was born. In January 2010, I made some marmalades, designed labels and tags for the jars and started to sell them to family and friends. These were followed by a selection of jams, pickles and chutneys which have all sold really well. 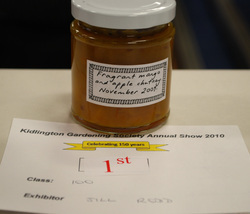 In 2010 - First prize in the "other preserves" category for my fragrant apple and mango chutney. In 2011 - First prize in the "homemade jam" category for my raspberry jam and second prize in the "other preserves" category for my Spring rhubarb relish. 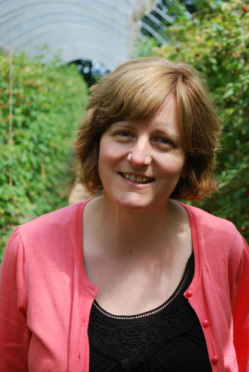 In 2012 - First prize in the "homemade marmalade" category for my dark Seville orange marmalade and second prize in the "homemade jam" category for my tutti fruitti jam. jillicious.....made by Jill, tastes delicious! - what more can I say? !